The broad street orange line most southern stops are at the intersection of Broad st and Snyder Ave, Oregon Ave, and Pattison/AT&T Station. All of the stations are within walking distance of the Whitman neighborhood, including Whitman Plaza. Traveling east and west throughout the numbered streets of Oregon Ave is simple too. Simply wait at a bus stop on any corner of Oregon Ave and wait for the G bus or 7 bus. Either will take you west or east on Oregon Ave. For example, you can take the subway Broad Street line to Oregon Ave and wait for the 7/G bus in front of the subway station. Ride the bus east towards Whitman Plaza on 3rd and Oregon, or a little further towards the South Bowl bowling alley. The Philadelphia Whitman neighborhood, although most commonly referred to as South Philly, is what most locals consider the south, South Philly. 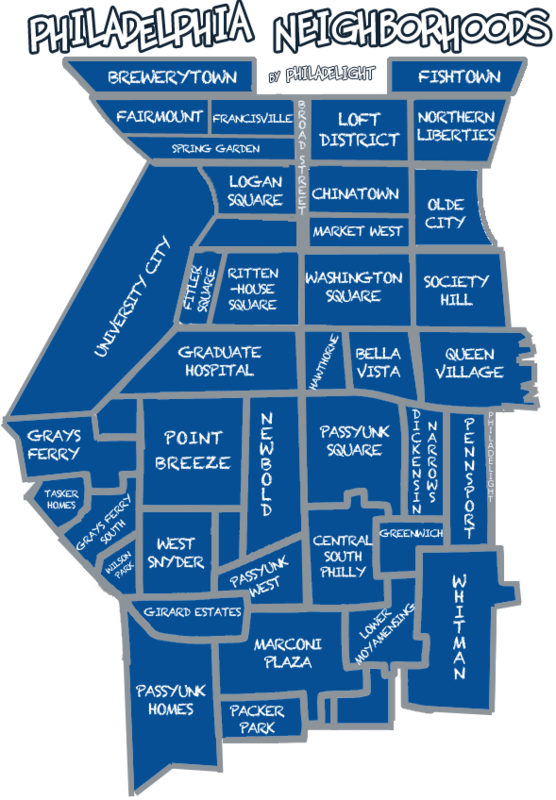 Nearby neighborhoods like Newbold, Passyunk, and Bella Vista exist in the southern part of Philadelphia, but the neighborhoods of Whitman, Lower Moyamensing, and Pennsport are the South Philadelphia. Whitman is known as home of the nation’s first vegan-certified farm and is one of the safest neighborhoods in Philadelphia, according to the 2015 PPD reports. South Philadelphians in Whitman are primarily home owners and are less likely than other South Philadelphians to move or relocate, which results in less home openings, according to a 2008 census and local study. Diverse as a whole, traditional Whitman neighborhood communities have diversified throughout recent years as homes began to open up to younger generations, new families, and developers. Whitman locals pride themselves in strong traditions and old-school mom-and-pop businesses, although recent influxes of graduate students and young professionals from the Navy Yard have shaped the progression of several neighborhoods. New home buyers unfamiliar to Philadelphia often overlook Whitman, as the family oriented neighborhood was originally known to lack a modern nightlife and party scenes. Whitman has its traditions, but has been seen expanding and reinventing its unique voice in this rapidly changing city. The neighborhood expands to the river, and is accessible from Septa’s Oregon or Snyder subway station of the Broad St orange line. Whitman has some of the most frequent bus routes running throughout; most notably the 47 and 57, which runs through South Philly, Center City, Old City, and other popular locations. While there are relatively few modern bars or establishments in the area (but note that these few blocks of Oregon ave has 10 bars in itself), Whitman is home to some of the loveliest houses and yards in the city. Whitman is surely an option for those wishing to live within walking distance of everyday necessities while having access to ample yards, lawns, and trees. Amy Freeman published an article urging home buyers to consider the Whitman neighborhood. Here are some Whitman-exclusive recommendations. We know there are many famous dining options just blocks away, but we want to keep this listing within the boundaries of the Whitman neighborhood. And if you don’t mind the boundaries (which you shouldn’t), the Pennsport and Lower Moyamensing neighborhood are literally at the border and have tons of their own bars, restaurants, and amenities. Oregon Diner (302 W Oregon Ave) is most representative of traditional Philly diners. The staff are local, the food is good, filling, and extremely affordable. Don’t let the sense that everyone knows each other turn you away. In South Philly, you have to insert yourself and you will naturally belong. Pho Ha Saigon (320 W Oregon Ave) serves traditional Vietnamese Pho and delicious rice platters as well as other Vietnamese food and coffee. It is located in the Oregon Market, an Asian Supermarket right next to Oregon Diner and Oregon Plaza. They are all literally on the same block. Banh Mi Square (320 W Oregon Ave) is located right next to Pho Ha Saigon within the Oregon Market area. Banh Mi Square is a bakery/cafe that serves fresh banh mi, smoothies, coffee, and local Vietnamese delicacies. San Miguelito (2654 S 6th St) serves astoundingly authentic Mexican cuisine. 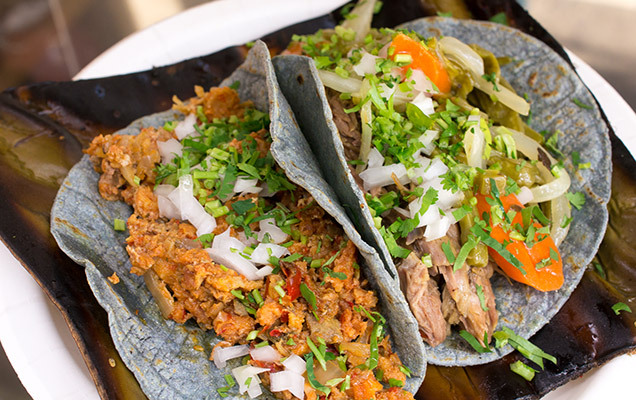 Their al pastor taco is a must try for all taco lovers. This location previous housed Los Jimenez, which was ran by chef Jimenez of Vetri. John’s Roast Pork (Snyder Ave & Weccacoe St) is home of the Original Roast Pork Sandwich and Ultimate Cheesesteak. It has been open since 1930 and has been a family business for three generations. Try the famous roast pork sandwich and support a local, family-owned business. Tony Luke’s Old Philly Style Sandwiches (39 E Oregon Ave) is located under the shadow of I-95. It is mostly a local favorite cheesesteak eatery, as it can be difficult to access by public transportation (but you can alternatively take the bus, subway, bike, or walk). Tony Luke offers outdoor seating as well as many different food options like burgers, sandwiches, and the famous roast pork sandwich. Credit cards are accepted, unlike many other cheesesteak joints in the city. Wander Inn (2500 S 3rd St) Located inside the historic J. Downing Building, Wander Inn reflects the hip sensibilities of the surrounding area while also paying tribute to Philadelphia’s storied past. The 2-story neighborhood bar offer affordable drafts, craft beers, and mixed drinks. A pool table and weekly trivia are available on the second floor. South Bowl (19 E Oregon Ave) is a new bowling alley that doubles as a rooftop bar and dining establishment. Their chef serves up exceptional dishes like their own take on banh mi, Korean-style chicken wings, as well as happy hour pizza and the like. Yoga on the roof is an option for weekend early birds. Dive bars on Oregon ave are so popular they’re barely dive. Just kidding. Things are still plenty dive and old-school everywhere on Oregon ave. This list by a neighborhood association is not very extensive, but it’s a start. 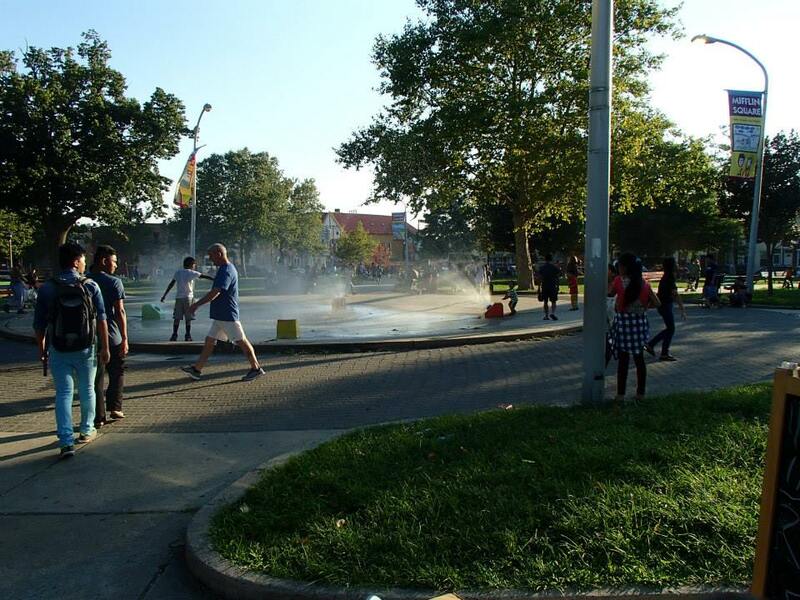 Mifflin Square (5th and Wolf Streets) is a small local park and playground area with a basketball court and playground equipment. Friends of Mifflin Square volunteer relentlessly and holds many events for children and families. Murphy Rec (300 W Shunk St) houses a well maintained in-door pool. The recreation center offers a basketball court, sports field, and two ballfields, and space to run your dog. Our Lady of Mount Carmel Church (2329 S 3rd St) stands at over 100 years old. Whitman Council, the neighborhood’s civic association, holds monthly meetings in the beautiful building. Whitman Library (200 Snyder Ave) is supported by local volunteers as much as their wonderful staff. A great place to read books or study, the Whitman Library offers daily activities, classes, and events. Whitman Plaza shopping center (4th Street and Oregon Ave) has multiple buses running nearby or straight into the plaza and is a convenient location for grocery shopping, clothes shopping, coffee, and dining. Like it or hate it, it is also attached to PennDot.